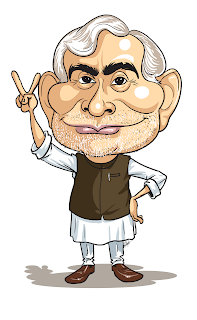 All the contents like Animations (2d and 3d), Illustrations, Caricatures, Characters, Cartoons, Cover pages, Portraits and Calligraphy on http://www.satishupadhyay.blogspot.com/ are Intellectual Property of Satish Upadhyay . Hence readers are strictly prohibited to make any commercial use of the said content in any form ( Partially, fully, edited with colour,graphics, distortion etc) and for any purpose. Publication of these content in any form, size, shape, colour, distortion, edit or addition for any purpose without any prior notice shall be held as violation of Intellectual Property Act and Copyright Act in India. Dil ke Arma........ Ansuon mein..